Ivanov Third Guest Jewish Rep.
Have worked with: Charles Grodin, Robert Woods, Hillary Smith, Laura Esterman, Jonathan Hogan, Ann Dowd, Larry Arancio, David Morse, Andre Braugher, Cindy Katz, Rob Corddry, Terrence Mann, Novella Nelson, William LeMassena, Martha Greenhouse, et al. Directed by: Robert Kalfin, Robert Singer, Fred Gerber, Michael Zinberg, Tom DiCillo, the Hudlin Brothers, Henry Wishcamper, Carl Forsman, Jim Farmer, Tony Torn et al. American Academy of Dramatic Arts, 1982, Rep Company, Speech & Dialects - Liz Himmelstein, Recipient Philip Loeb Award, Ezra Stone, benefactor. Mansfield University, Irene Ryan Award nominee. 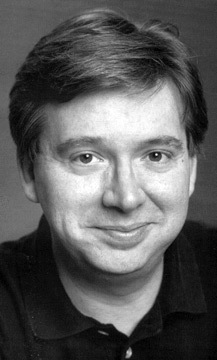 Pat McCorkle, Audition Technique. Karen Kayser, Commercial Audition Technique. Mari Lyn Henry, Auditioning For the Camera. Monologue critique, F. Murray Abraham.